We offer a complete range of hair, skin, body and nail services to keep you looking and feeling your best. To schedule an appointment, give us a call at 435-649-6799. Appointments available 8am-7pm daily. scheduling available from 8am-8pm daily. 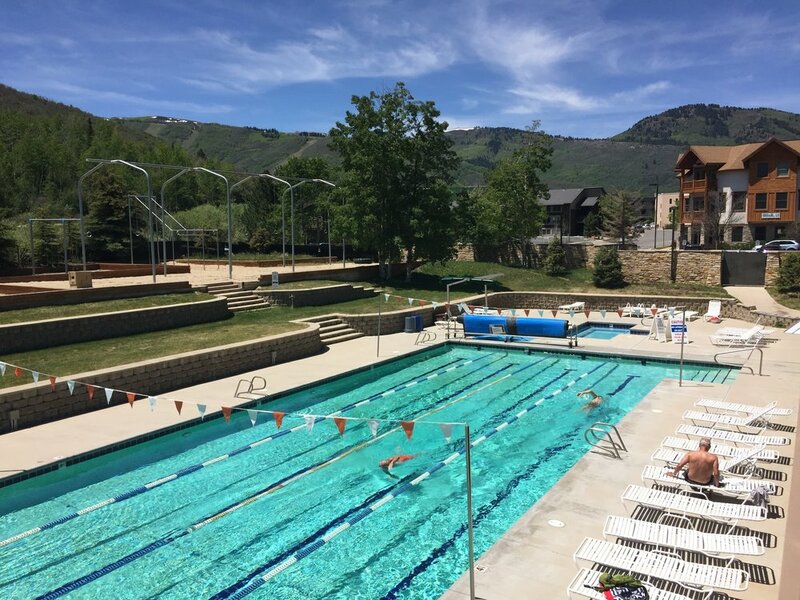 Welcome to Park City's only locals spa! 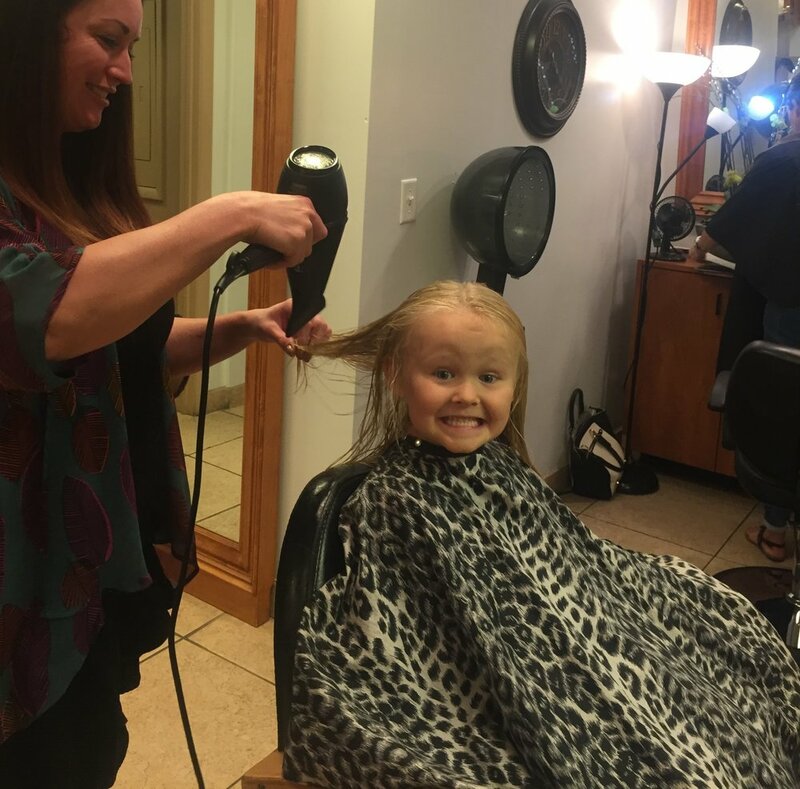 Visitors and locals alike are treated like family in our salon. We offer over 20 years experience in a variety of services. From hair, skin, body and nail treatments, our team will have you looking and feeling your best. We take appointments and love walk-ins, so come on by and let us pamper you! The Spa and Salon Team are all INDEPENDENT CONTRACTORS. They take their own payments and pricing may vary. To become an Independent Contractor at our location, please contact us @ (435) 649-6799. 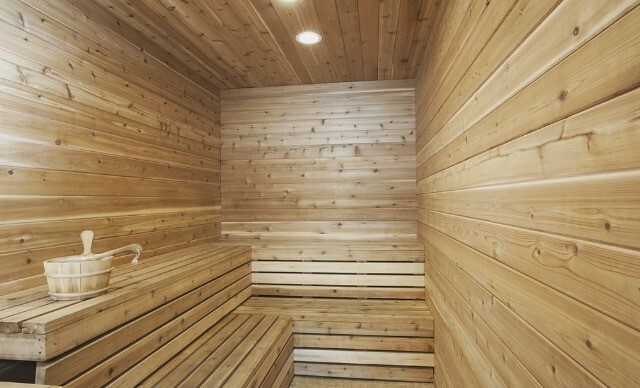 Spa Guests can use all the Sports Club’s Facilities including Heated Lap and Recreation Pool, Steam Room, Sauna, Jacuzzi, and Fitness Class before or after a treatment for just $15.00. Our spa and salon is located at our Prospector Club at 2080 Gold Dust Lane. To schedule an appointment, give us a call at 435-649-6799 or call our spa and salon team members directly. Appointments must be held with a credit card. Early Cancellations (under 24 hours) will be charged 50% of the service fee. No-Show appointments will be charged the 100% of the service fee. Shaura likes to create a personalized massage for your body and mind using some of the most effective yet relaxing techniques acquired over her career. Specific modalities include a variety of sports massage, deep tissue and structural integration to realign and heal the muscles but also uses a range of energy work and relaxation techniques to take away the stresses of life. Graduate from Utah College of Massage Therapy. Thirty years in Spa/Salon industry, including twenty-eight years as a Therapist. Modalities include Deep Tissue Work, Sports Massage, Reflexology, Energy Work and Specialty Body Treatments...along with Hydrating Repêchage Four-Layer Facial. 15 years of experience in studying the healing and movement arts. A massage therapist, energy worker, as well as a Pilates and Yoga instructor. Her newest endeavor involves combining the universal healing energy of Reiki and the pure frequencies of tuning forks to create a sense of deep relaxation and release. Peter has been studying hair design for 4 decades, working and trainign internationally with Vidal Sassoon and Toni & Guy. Peter has lived in Park City for 30 year and would love to share his passion of hair design and visitors alike. A local gal from Park City, Stormy has been specializing in shellac manicures, pedicures and acrylic fills for over 20 years. Her clients return season after season for Stormy's warm touch, unmatched knowledge of town and the energy she brings to the salon. Stop by today or call to book an appointment! Wendy has helped countless clients look and feel years younger. All while improving their quality of life. Her education stems from thousands of hours for certification trainings. She has studies in Eastern, Western and Native American medicine. Plus over 30 years of private practice experience. Wendy can help you achieve real results by using energetic cleanings, intuitive body mapping and verbal coaching to transform all aspects of your life. Karen, a master esthetician, specializes in diamond head micro dermabrasion, customized anti aging, pigmentation and acne facials, peels and aromatherapy facials. In addition to those services, she also offers brow, lip, bikini and back waxing, with lash and brow tints. Michael has been doing massage for over 25 yrs. he has worked with Physical Therapists here in Park City for more than 5 years focusing on injury recovery and reduction of pain. He has a unique approach to massage incorporating hot stones, graston tools and cupping (w/o leaving blemish as seen on performance athletes). Michael is also educated in Swedish, Trigger Point, Sports Massage, and Energetic healing such as Cranial and Reiki. He is always researching and continuing his education. His biggest commitment is to provide clients a 5-star customer service experience. 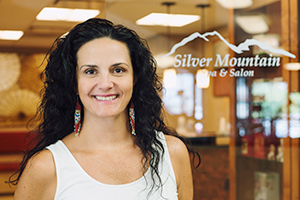 After extensive training abroad in Paris and London, Stephanie returned to Park City to bring her international talents to Silver Mountain Spa. With over 6 years of experience, she constantly proves that young stylists bring a youthful and passionate talent to the salon. Stephanie specializes in highlight and color work. Anne specializes in facial acupuncture which treats the whole person making you and your skin healthier and younger. She also offers efficient cupping services. She emphasizes the importance of regular self-care and has created packages to help you get the results you want. Anny has the perfect balance of artistic design mixed with high end customer service to help you escape the world and enjoy some well deserved pampering. She has even come up with her own custom Luxury Manicures and Pedicures. Check out some of her perfect nail designs on her Facebook and Instagram page. Graduate from Utah College of Massage Therapy. Todd has worked as a massage therapist for 18 years, specializing in Deep tissue, Swedish massage, Trigger Point therapy, and Energy work. His goal with each client is to get to the source of their pain, relieve the discomfort and help them have time for self. Leslie has over 28 years of experience as a stylist, specializing in coloring & hair cutting. She has been able to continue educating by attending numerous classes ranging from Aveda, Toni & Guy, to Swartzkoff, Goldwell, Redkin color lines. Over 20 years of experience, Angie is one of the most diversified salon staffers. With services ranging from nail art to custom airbrush spray tans. Angie really can do it all. Year after year her clients look forward to the bright, energetic attitude Angie brings to the salon and her precision and passion for her nail work. Dr. Phil has been in the health field for 37 years. Chiropractor by trade, training and title, but a Primary Healthcare Physician by experience and compassion for sick people. He choose Chiropractic because he believes that it is the first line of offense for diagnosis and treatment of sickness, abnormal function and many disease condition and to prevent surgery. Also to create an environment for healing by opening the Neuro-pathways which may be blocked, even from birth. Dr. Haley has been a board certified dermatologist since 2004. Since 2009, Dr. Haley has been in private practice using her extensive experience in Medical, cosmetic and surgical dermatology to care for patients in Arizona, California, Colorado and Utah. Dr. Haley has a passion for health, fitness, and nutrition and enjoys integrating science with nature in her treatment approaches. Looking for a new do'? Need some attention to your lower back? Let us know how we can help you! Let us know when you'd like to come in, what you're looking for and we'll be happy to get you set up with an appointment. Thank you! We have received your message and will get right with you.